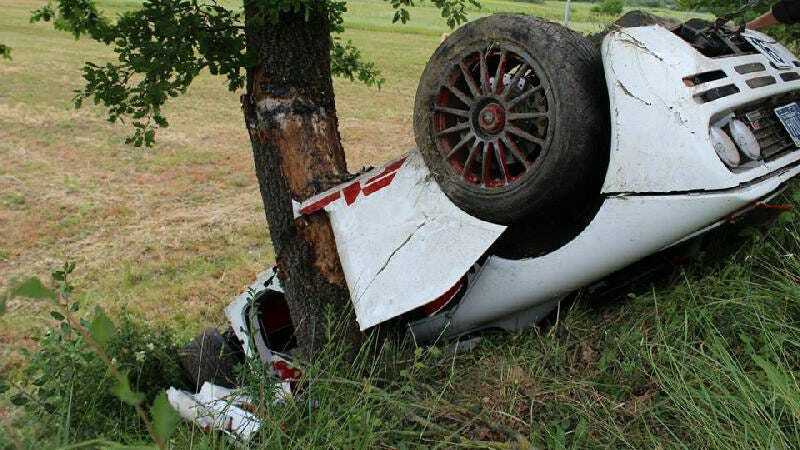 The bespoke red/white McLaren F1 known as the pair of the 'Project 8' 12C of McLaren Special Operations was crashed this morning in Italy during a tour of four cars including the one driven by Rowan Atkinson. According to lanazione.it, the accident happened between Saline di Volterra and Pomarance at around noon when the driver lost control for unknown reasons and ended up crashing into a ditch, hitting a tree upside town. The two occupants were airlifted to hospital. Their condition is stable, so let's wish them a speedy recovery. The same applies to the car, which should get rebuilt knowing how much F1s are worth nowadays. It's a sad day for mankind. Photo credit and hat tip to Creatini via Facebook and Peloton25.